Ask Angie's List: How Do You Update a Popcorn Ceiling? A popcorn ceiling, otherwise known as an acoustic ceiling, is a ceiling that’s been sprayed with a textured coating. A popular design element between the 1950s and the 1980s, the texture is useful for hiding imperfections but is now considered outdated. Why remove a popcorn texture? Popcorn ceilings are not only behind the times, but they’re also difficult to repair and clean. What’s more, they may deter potential buyers if and when the time comes to sell your home. There’s also a chance that your popcorn ceiling may contain asbestos. Asbestos was used in popcorn ceiling treatments until the Clean Air Act banned its use in 1978. 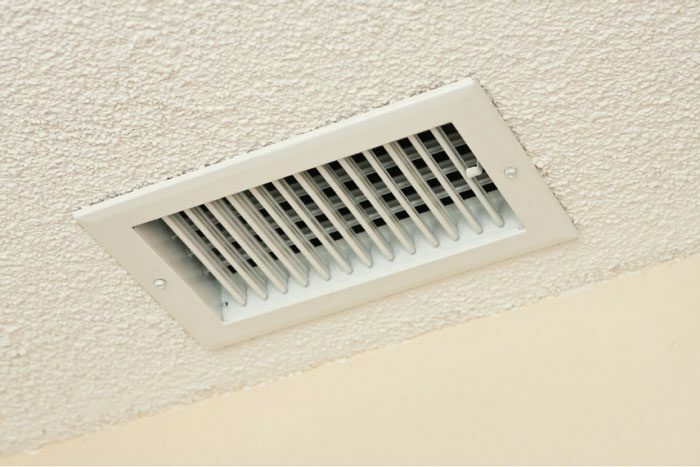 It’s most commonly found in the ceilings of homes built in the 1950s and 1960s. If inhaled, asbestos can cause serious respiratory health issues. If your home was built before 1980, you should start with an asbestos test (you can get one for around $75 to $100). If asbestos is present, you’ll want to hire a qualified asbestos mitigation service to remove it. This will cost about $3 to $10 per square foot, and it will involve sealing the affected area and removing the hazardous materials and particles. If asbestos is not found to be present, or if your home was built after 1980, you can either tackle your popcorn ceiling yourself or hire a professional to do it for you. A drywall professional will typically be able to offer the best results in this area. To start, the popcorn texture must be scraped off the ceiling. This is a tedious and messy process, and it will probably uncover stains and other previously hidden flaws. To address these issues, the ceiling will typically need to be covered with multiple coats of drywall mud and retextured or sanded to a flat finish. Finally, paint and primer should be applied to complete the ceiling update. Experts say you can expect to pay about $1.50 to $3 per square foot to scrape, skim and retexture a popcorn ceiling, depending on the texture you choose and the height of your ceilings. A mottled texture known as a “knockdown” finish will typically be the least expensive option because it doesn’t require the drywall professional to smooth every imperfection. A smooth ceiling finish will be the most expensive, as a flawless surface is the most difficult and time-consuming to achieve. Post-project painting will add to the overall cost. Should you hire a pro or DIY? You’d expect updating your popcorn ceiling to be a relatively simple DIY project. But it can be a messy and complicated process. And the debris and potential hazards involved make it one you might not want to mess with. If there’s a chance that you may encounter asbestos – or if you lack the time and experience it will take to successfully complete this project – it’s probably well worth the cost to hire an appropriately licensed, insured and bonded professional. You can always save a little money by painting the finished new ceiling yourself. By Megan Alderton, Angie’s List. Megan Alderton is a reporter for Angie’s List, a trusted provider of local consumer reviews and an online marketplace of services from top-rated providers. Visit AngiesList.com.